A smooth shave makes you look and feel good. 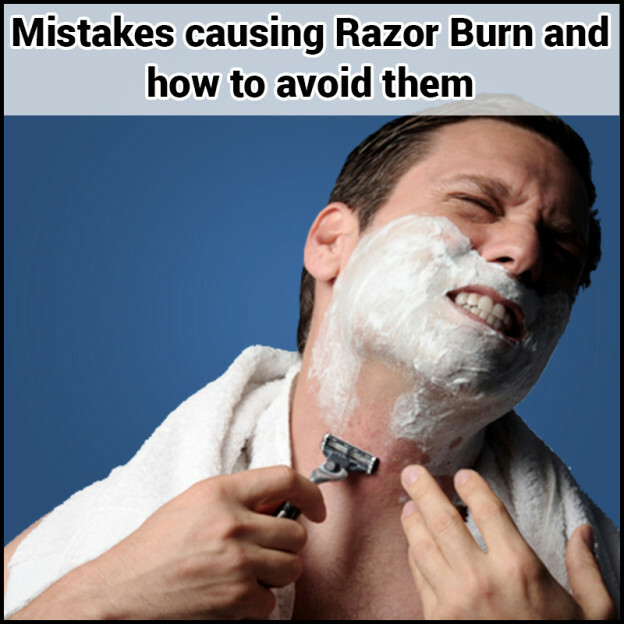 Although, it is easy to get the dreaded razor burn side effects by doing an improper shaving. It also creates a stingy feeling which looks terrible. What exactly is razor burn? Shaving remove up to two layers of skin, that's a good thing because exfoliation takes away the dull outer layers and gives new skin growth. This is one of the best way to healthy looking skin. Everything goes wrong when shaving is not done properly. Razor burn looks like a red rash, can even cause pimples or blisters or bumps. Razor burn can also cause itching thus making skin uncomfortable or many days. There are some mild case to where it result in reddish skin and discomfort. Skipping important steps after shaving/ using wrong products. How to prevent razor burn? Make sure your beard is wet: if you are suffering from irritation and razor burn, spend an extra time just to make sure that your beard is thoroughly wet. It is one of the important step for a comfortable and smooth shave without causing any irritation or razor burn. Taking the shower before shaving is the best way to ensure that your beard is moistened. Never shave or apply shaving products to a dry face because this eventually cause reasons for razor burn. Using a quality shaving cream: never compromise while buying shaving cream because you obviously don't want skin rash or razor burn on your face. Prefer buying creams which have a high content of moisturizers and lubricants. Using a sharp razor blade: prefer using razor blade which is of good quality and is sharp. A dull razor blade is more risky and traumatic to your skin and is one of the key factors to razor burn and shaving rash. Buy razor blade according to your skin type and make a habit to change blade between every four and ten shaves. But, if the blade becomes dull before that, ditch it. Follow the correct method: start by shaving the sides of your beard, then move to your neck, chin and end up with your mustache. Use short strokes and avoid to apply too much pressure and most importantly, do not shave the same area. Apply moisturizer after shaving: skin becomes vulnerable after shaving, so rinse you face with lukewarm water and use a facial wash that has a high content of tea tree oil for protection from spots and rash and witch hazel for soothing and healing. Look for a soothing after-shave cream or balm for moisturizing. Avoid alcohol-based after shaves. If you are having a tremendous razor burn then do not shave for few days. This will make your skin heal and don't make your existing razor burn worse by continuously shaving over it. Your skin needs time and rest to heal. Buy your products according to your skin texture. A final word: You don't need any excuse for not getting your razor burn healed up quickly.